Excellent investment opportunity. Convenience is key close to college and bus line. 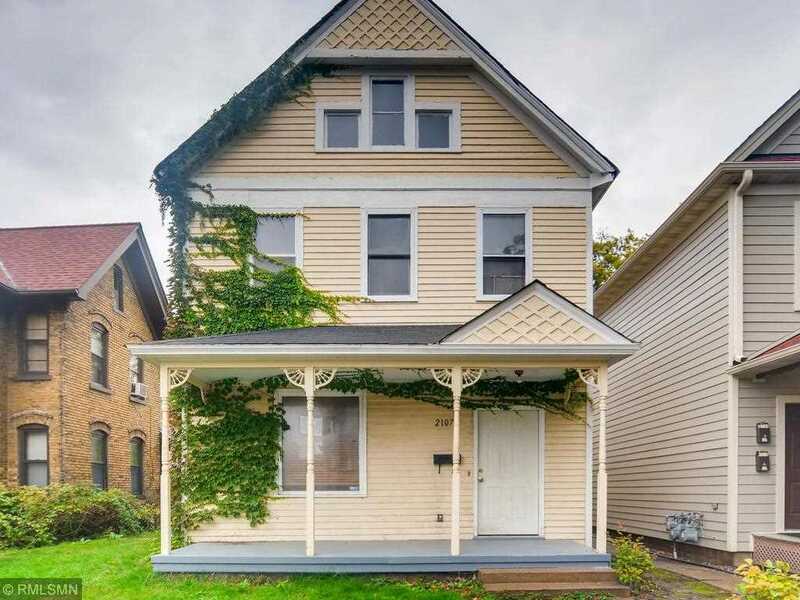 Super cute 2.5 story w/ lots of potential. Very spacious main level living/dining room. Hardwood flooring in kitchen, updated countertops and cabinets. Four bedrooms, 2 baths. Don't miss out! I was searching for a Property and found this listing (MLS #5011252). I would like to schedule a showing for 2107 22nd Avenue S Minneapolis, MN 55404. Thank you! I was searching for a Property and found this listing (MLS #5011252). Please send me more information regarding 2107 22nd Avenue S Minneapolis, MN 55404. Thank you! MLS® 5011252: This property at 2107 22nd Avenue S, Minneapolis, MN 55404 is located in the Seward subdivision and is listed for $247,500. MLS® 5011252 has been on the market for 199 days.